Windows Phone 7.x users were somewhat disappointed to learn that Windows Phone 8 would not be coming to the current batch of WP devices. Instead, Microsoft has laid out a somewhat watered-down iteration in Windows Phone 7.8, so naturally, anybody looking to jump on the Windows Phone 8 background will need to grab themselves a new device, which while a little bit gutting, is still rather exciting at the same time. Nokia is obviously quite heavily dependent on Microsoft’s fledgling platform since ditching Symbian, and the Lumia range has been very successful so far, with Apple affiliate Steve Wozniak singing its praises not so long ago. Thus, while consumers expect plenty of decent new devices thanks to the flexible dual-core support, the next in line to the Lumia series is rightly the most anticipated. Needless to say, it doesn’t mean that’ll be the name of the next Lumia device, but given the secrecy surrounding Microsoft at the moment, we’ve to take what we can get. Since there’s no way of gauging whether it’s even real, no other details can be ascertained, and it could be a very sneaky ploy by Nokia to sneak itself into the blogosphere; a ploy which has clearly worked. 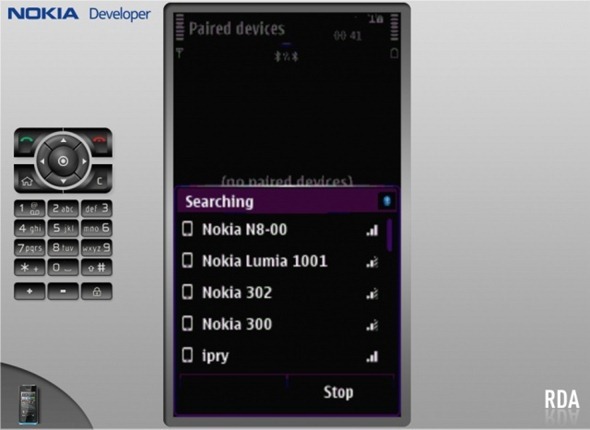 Still, even if it’s a hoax or just a misunderstanding, Nokia will undoubtedly be plotting a Windows Phone 8 device, and personally, I cannot wait to see what the Finnish company comes up with. Whatever it might be, we have our hopes high. Being a power junkie, I’ve refrained from the relatively tame Lumia devices in favor of the dual/quad-core handsets offered by Apple and the various Android OEMs, although with Windows Phone 8 being a lot more accommodating of higher-end spec devices, I can’t wait to get my hands on one of the next wave, be it a Nokia Lumia or otherwise.